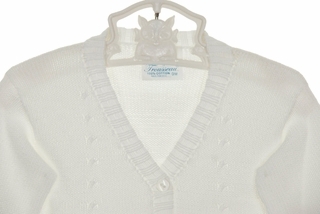 This sweet little white cardigan sweater is made by Baby's Trousseau, a leading provider of cotton knit children's apparel. 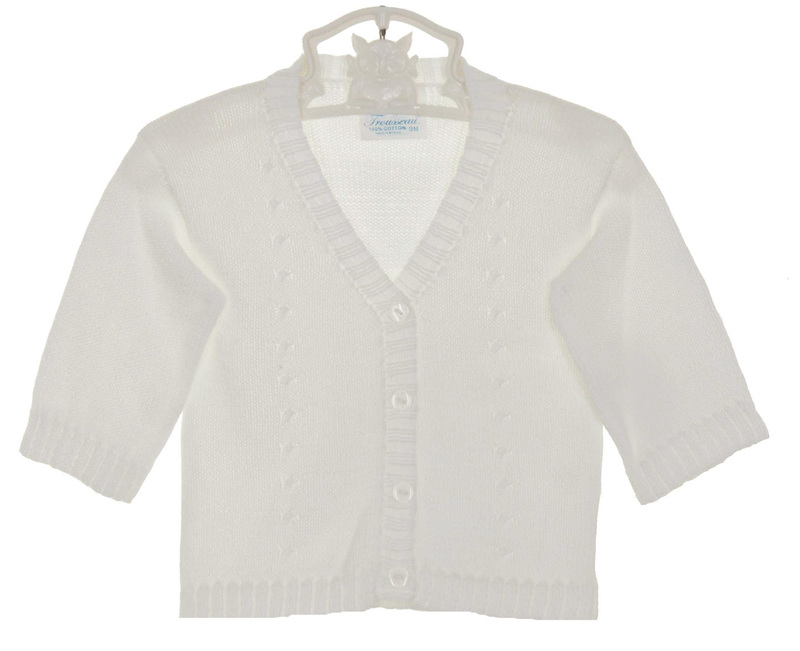 Made of soft cotton, it features a V neck with front buttoned closure and a vertical cable design. The perfect take home, christening, or anytime sweater for your baby boy. This sweater is also available in blue. See below.